Responding to the aggressive growth of online furniture sales, VanNoppen Marketing has help design, develop and launch Cudo, a straight-forward dining chair collection for homes and apartments. Cudo is a sound, scalable solution to reach e-commerce customers. Cudo offers standard- and apartment-sized dining chairs in a variety of styles and fabrics. Key themes in messaging include, Made in USA, no assembly required, white-glove in-home delivery and straight-forward return policies supporting durability and comfort. Meeting weekly with VanNoppen Marketing, the Cudo development team was comprised of lead executives from the manufacturer’s operations, logistics, marketing, merchandising, and finance departments, and executive ranks. 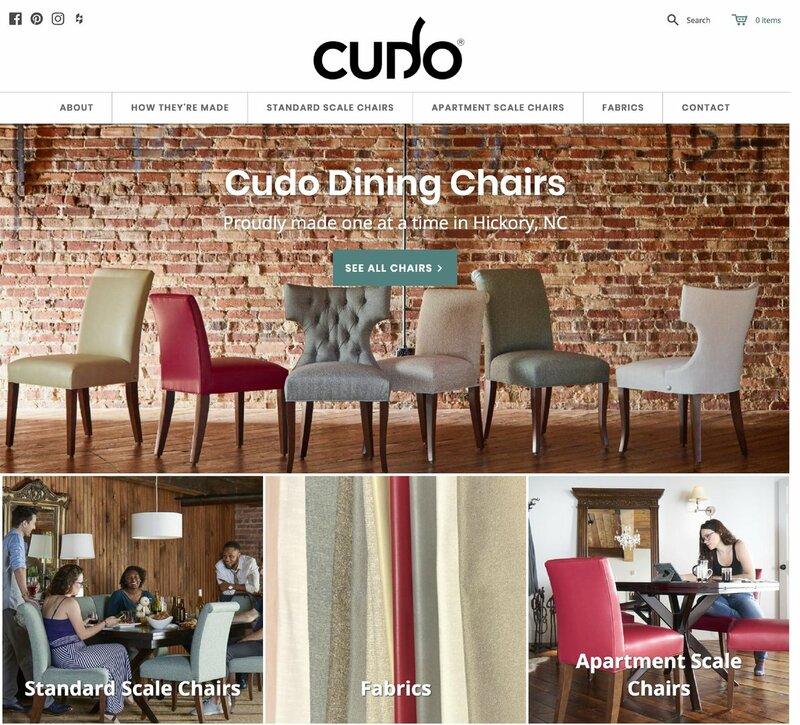 The Cudo project is a case study on developing and executing careful, deliberate, sound strategies to craft furniture for e-commerce and build supporting with sales and marketing platforms to reach millennials. Our congratulations to the Cudo team. It's dedication, participation and attention to detail was unsurpassed. The group never wavered from the vision and the task. They were unanimous in their understanding in the growth in all sectors of on-line commerce and in the need to build an apparatus to meet those buying preferences.